WELCOME TO YOUR DREAM HOME! 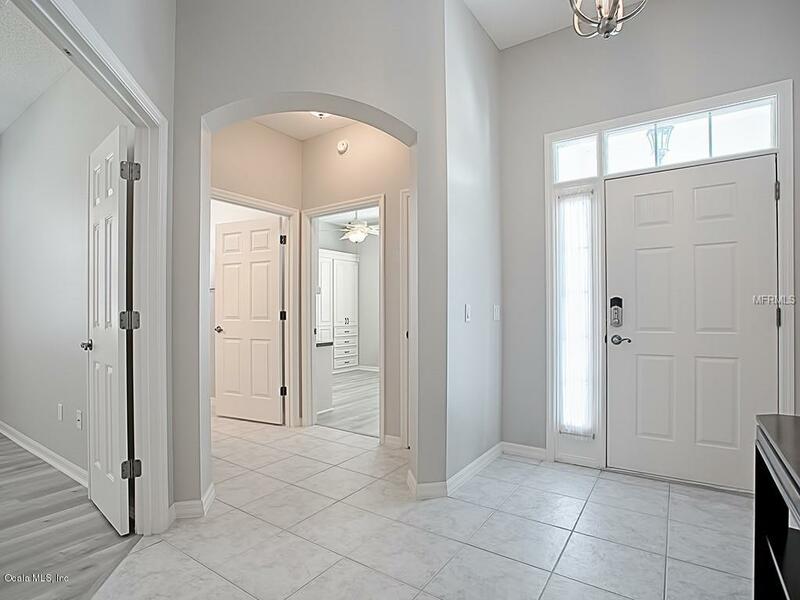 This BEAUTIFUL DESIGNER HOME is in the PERFECT LOCATION, & a SHORT GOLF CART RIDE to SUMTER LANDING & all the conveniences. 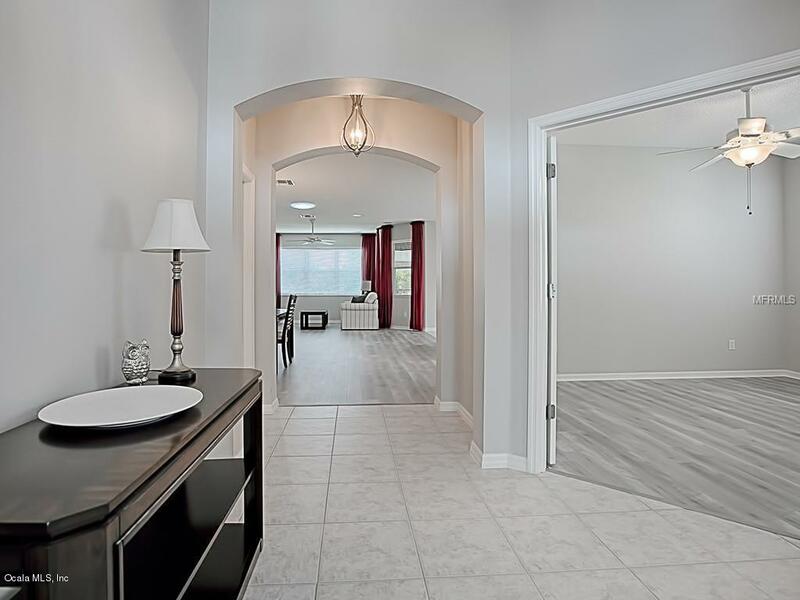 As you walk through the front door you are going to FALL IN LOVE with the BRIGHT OPEN LAYOUT and POPULAR COLOR SCHEME of this SOMERSET MODEL. 2/2 Plus Den. 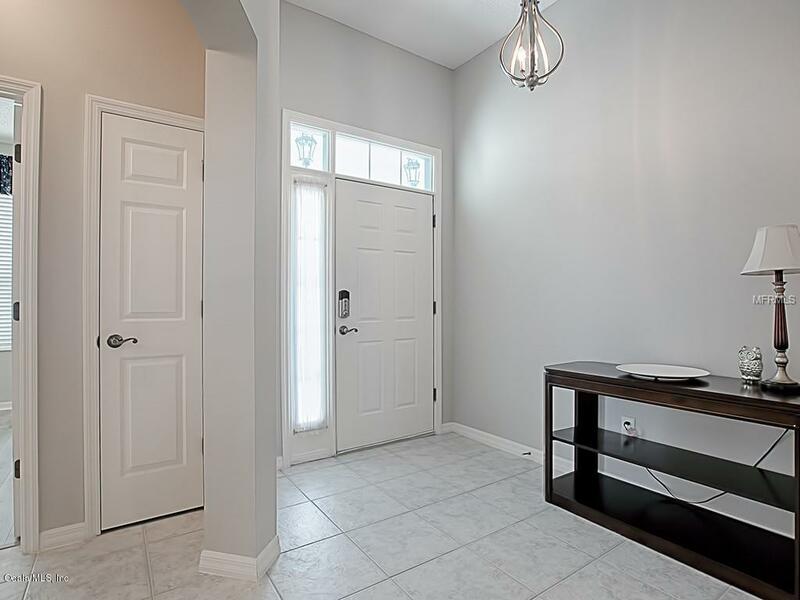 MOVE IN READY, & offering BRAND NEW Mohawk ''Grey Shadow'' Laminate Flooring. NO CARPET in the home. The Open Kitchen has nice WHITE CUPBOARDS, a built in PANTRY, Center ISLAND with complimentary tile below the bar counter, & an attractive back splash tiled from counter to cabinets. The roomy Master Bedroom has a large bath with double sinks, large corner shower & walk in closet. One of the Guest Bedrooms has a Built-in Desk & Murphy Bed. The home has been updated with A NEWER Rheem higefficiency HVAC system, Samsung refrigerator, LG Washer & Samsung dryer. 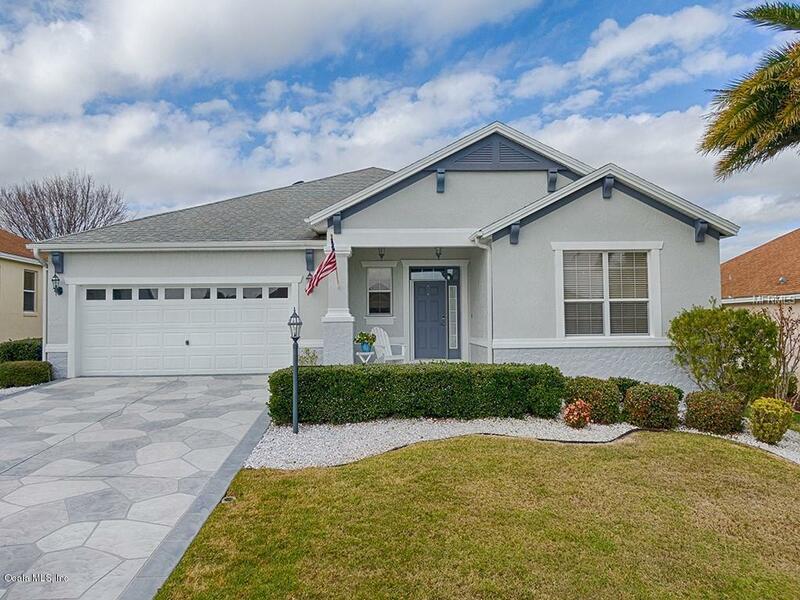 The OVERSIZED Garage is large enough for 2 cars PLUS a Golf Cart, & dressed up with a Custom Designed Concrete Driveway. As a bonus there is an Electric Screen Garage Door, & Retractable Front Screen Door. The home comes w/an Aprilaire Air Electrostatic Air Filtration System, & 2 Solar Tubes. The Lanai is tiled with Easy Open Windows. Also included is a Kinectico Reverse Osmosis Filter Water Purifier & Water Softener System, & TWO Solar attic Fans. There is a Schlage Security Smart Lock Sytem on the front door. Sparsely FURNISHED. Seller is also providing a 1 Year Home Warranty for new buyers. Listing provided courtesy of Antoinette (Toni) Chapman of Era Grizzard Real Estate, Inc.